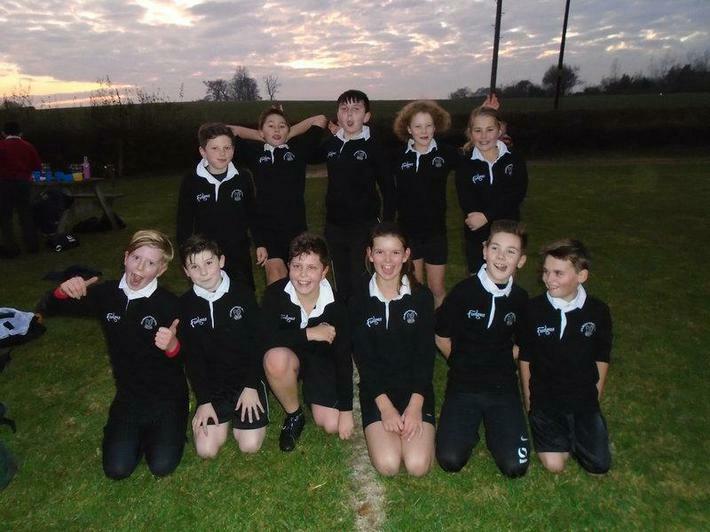 The Year 5 and 6 Tag Rugby team came second in the local tournament on Tuesday. They had a great time, showed excellent team work skills and learnt from their mistakes. We can't wait for another match! Well done Leon, Theo, Josh, Luke, Layla, Martha, Harry, Ollie, Harry. We are holding a 'Jump Off' on 30th March 2017 when classes will have a variety of skipping challenges that will test the pupils endurance. Your sponsorship will not only motivate them but help the school and the British Heart Foundation and we'd be so grateful for your support. The BHF has helped halve the number of people dying from heart and circulatory disease in the UK but sadly every day hundreds of people lose their lives. It's only thanks to support from people like us that the BHF can create new treatments and discover new cures. £25 could pay for an hour of research by an early career scientist, but every pound helps so please give what you can to help us hit our target. Thanks! 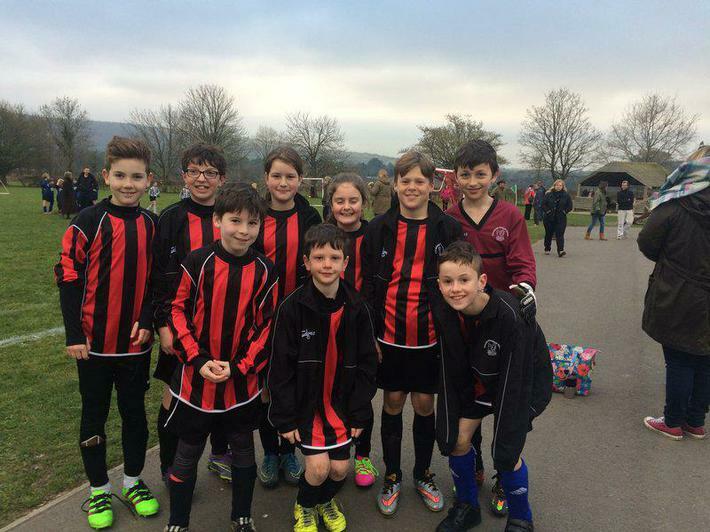 Our footballers from Years 4, 5 and 6 played a friendly match on Tuesday. They worked very well as a team and scored some clever goals against Child Okeford Primary. Well done everyone. More matches coming up against William Barnes Primary. 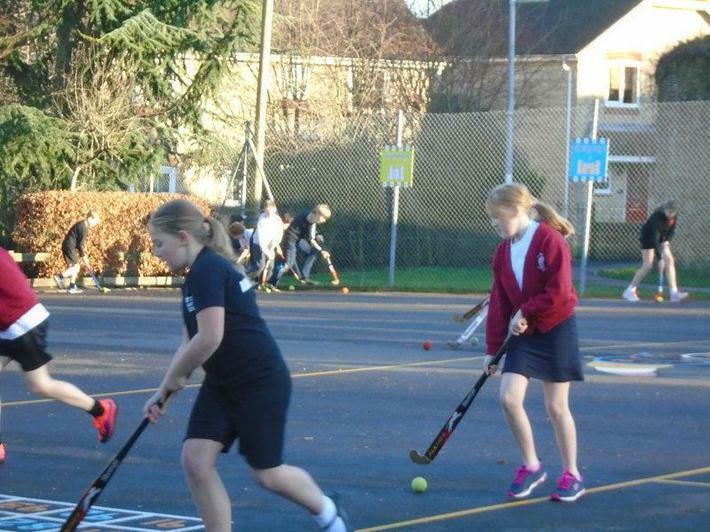 Year 5 and 6 have been working together to learn hockey skills. Everyone has enjoyed learning to push and stop the ball safely. We hope to have an inter house match soon. We finally launched our girls football club this week. We had 15 KS2 girls taking part. It was lots of fun and we encouraged each other really well. We hope to play a match soon. We had a really good time competing against the Hazelbury Bryan Primary School Year 6 team. We made a really good come back in the second half. The score was 23-17 to Hazelbury. We had a great time at Hazelbury Bryan on Tuesday. We played a friendly against their B team. We won 14-0 but encouraged their players too. Well done team. 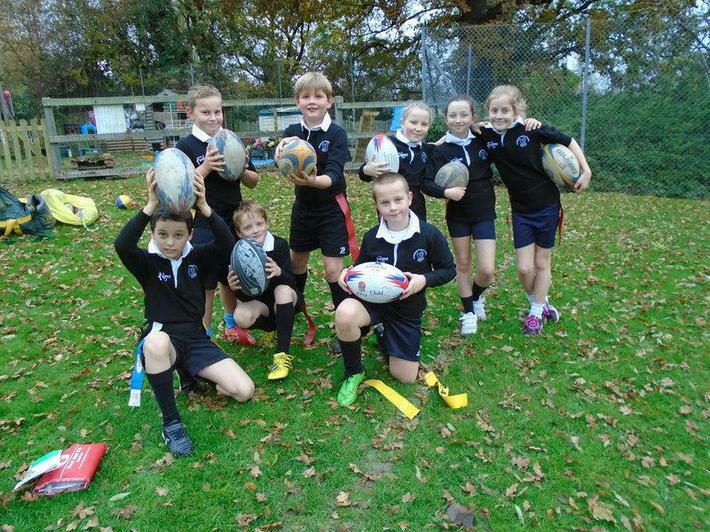 Well done to all our Year 5 rugby players. 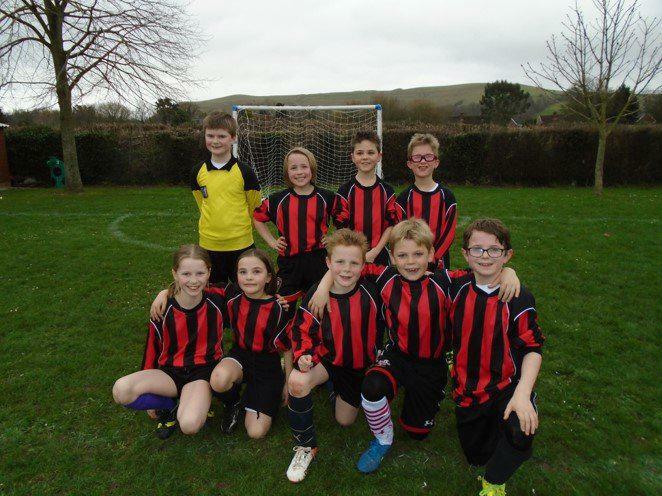 The boys and girls from Hazlebury Bryan came to play against us on Tuesday 15th November. It was a close match and the children loved it. We didn't win this time, but we have learnt a lot for next time. Year 2 had a lovely morning at William Barnes taking part in rounders. We all had a fun filled sports day taking part in a carousel of events such as Boccia. We then ran in running and dressing up races. What fantastic athletes we have at Stalbridge! 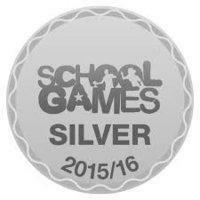 This year we have worked hard to achieve our silver school games award! 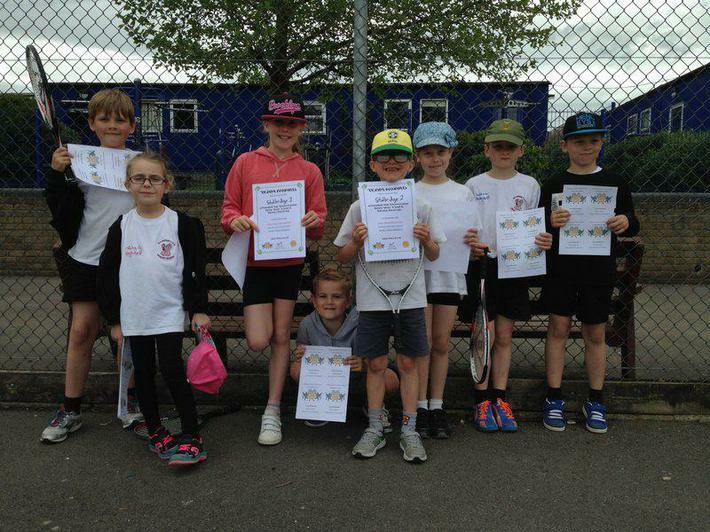 Year 3 and 4 took part in a tennis festival at Sturminster Newton High School. They had lots of fun and were very proud of their achievements. Year 4 took part in as swimming gala as Clayesmore School. They all swam really well and were fantastic representatives of our school. 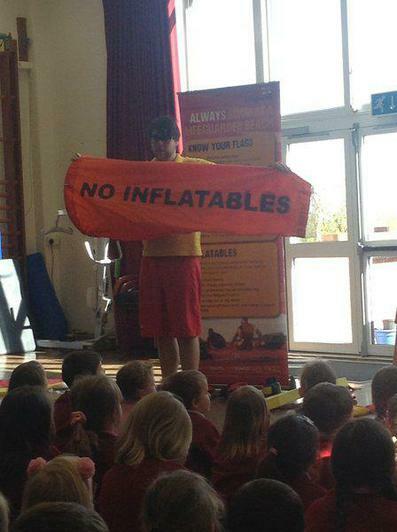 We met the lifeguards and learnt lots about how to stay safe on the beach. We know what signs of danger to look for and what to do in an emergency. 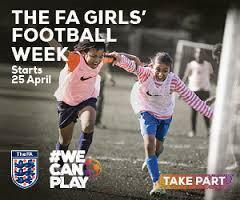 This week we are celebrating girls football. 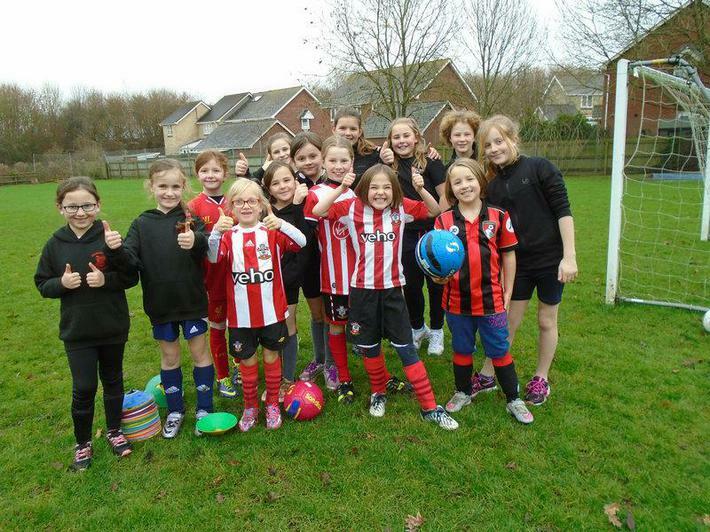 A team of girls took part in a football tournament at Child Okeford. They had lots of fun and learnt new skills. We were lucky enough to have a visit from Emily Diamond. We took part in circuits and learnt a lot about the Olympics. 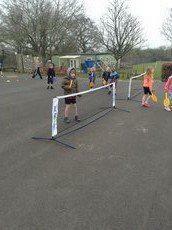 On Friday 18th March we all had lots of dun taking part in a rotation of sports working with different year groups. A big well done to Miss Swaine and Year 5 for their brilliant organisation. We all had lots of fun. 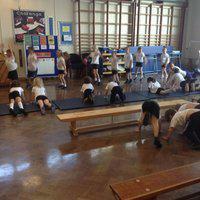 Each Week children take part in Jazzercise after school. They have lots of fun learning new routines and playing games. Please ask at the office if you are interested in this. This term our change 4 life club have been working hard to promote Sports throughout the school. Please come and have a look at the PE board with posters and write ups of the sports they take part in. This term we have been lucky enough to have sports coaches to come in and work with the children on Rugby, Football and Gymnastics. This has developed their skills well. 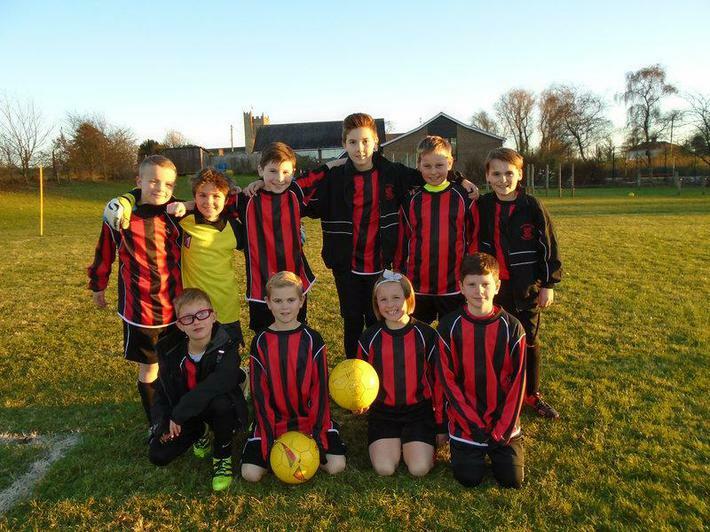 on Tuesday 15th March the year 5 and 6 football team played in a tournament at Child Okeford. They played really well and showed some great determination. Well done Team! A big well done to the year 3 and 4 team who won the tournament overall at Child Okeford. They showed great sportsmanship and Mrs Lafferty Jenkins was very proud! The year 5 and 6 children took part in a swimming gala at Leweston. They swam really well and had lots of fun. Year 6 played an inter house netball match. They developed their skills and helped to coach one another. Mrs Padfield was very impressed with the sportsmanship. Our Ambassadors have produced a questionnaire to find out about sports in our school. 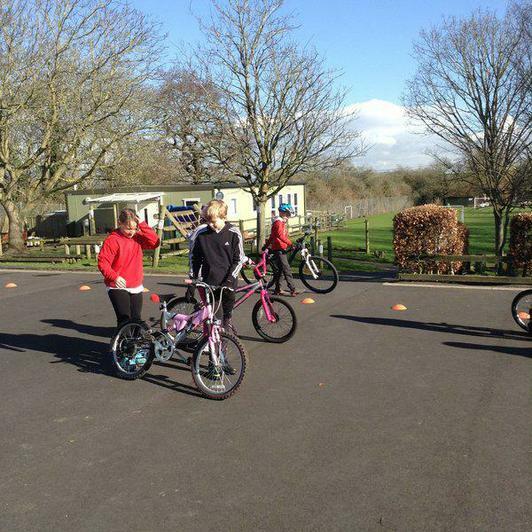 Year 5 and 6 took part in Bikeability. It's like cycling proficiency, but better! It's about gaining practical skills and understanding how to cycle on today's roads. Bikeability gives everyone the skills and confidence for all kinds of cycling. The year 6 netball played in a tournament at Child Okeford Primary School. They played 4 matches and showed great determination. The team worked well together and showed great sportsmanship. Our year fours played against Child Okeford first and put up a good fight against a well drilled team. All players showed great determination which paid off in 4-0 Win. Well done! As darkness and rain started to close in, the year threes lined up for their first inter-school match. Mrs Lafferty -Jenkins was very impressed with their enthusiasm and commitment and was delighted to see some promising flashes of teamwork. . What A fantastic start to football careers! 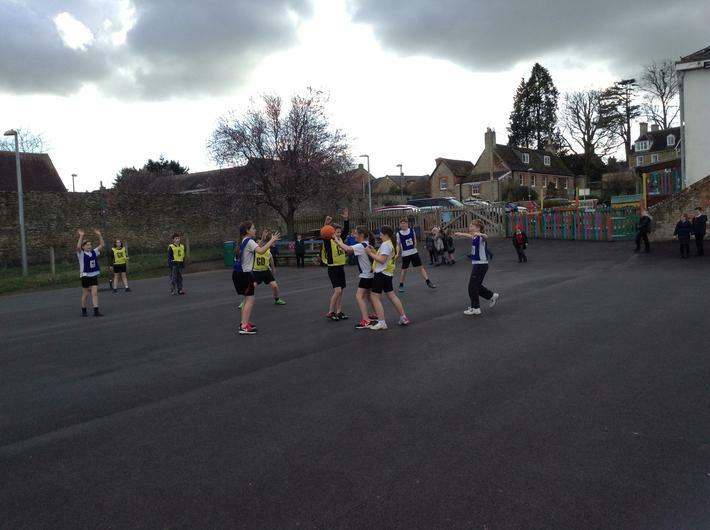 On Wednesday our netball team played against Child Okeford Primary School in their first match of the season. Mrs Padfield was pleased with the efforts of all players. Our final orienteering festival took place at Sturminster Newton High School on Tuesday 17th November. The school team put up a fine performance in gale force winds and darkening skies. The organisers were very impressed with the progress the competitors had made over the 4 events and hope that families will come along to club events in order to have fun and further develop map reading skills. Well done to all participants. 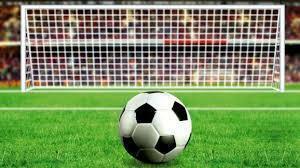 Congratulations to the football team who won their first round match in the Davison Cup Tournament on Friday October 2nd. The team played against Chilmark and Fonthill Bishop School on a beautiful autumnal evening and pulled off a convincing victory. The next round will be played against Sherborne Abbey. Today saw the start of the 2015 orienteering season with a training event at Okeford Fitzpaine School. Year 5+6 pupils attended this event in preparation for three further events over the coming weeks. Participants will learn to use maps and navigate their way around a variety of courses using electronic dibbers to record their times and achievements. Following each event, results will be published on the PE notice board. The sessions are run by Wimborne Orienteering club and are expertly lead by Di Tilsley. It is hoped that pupils will develop an interest in this exciting sport and take up opportunities to participate in other events around the county. 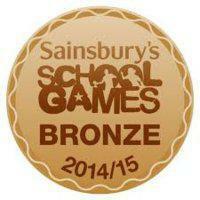 We achieved our Bronze school games award! Two new Ambassadors have been selected to represent the school as Ambassadors and Leaders of Sport. The new Ambassadors will receive a day's training and will be responsible for running an after school club, organising activities, writing match reports, updating the website and generally being good role models for younger children in the school. They will be assisted by other year 6 pupils throughout the year and we wish them well in their new jobs. Congratulations to all who applied for the posts. We have been very busy this year taking part in lots of sporting activities. We have earnt our bronze award for School Games.